The Alize Sunlounger has 3 adjustable back rests positions and 2 adjustable footrest positions. 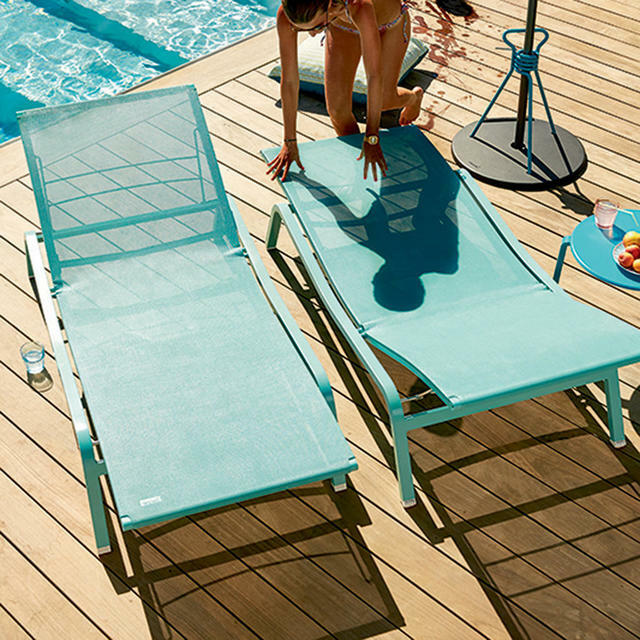 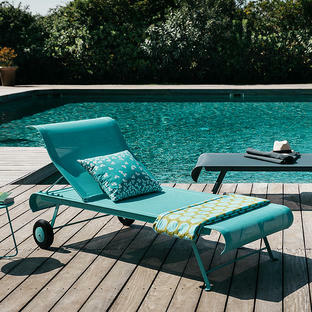 The Alize XS Sunlounger has 3 adjustable back positions and the footrest is fixed. 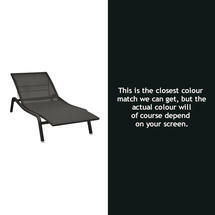 Both styles of sunlounger are stackable. Alize loungers are available in 8 Fermob colours. Alize XS loungers are available in 8 Fermob colours. 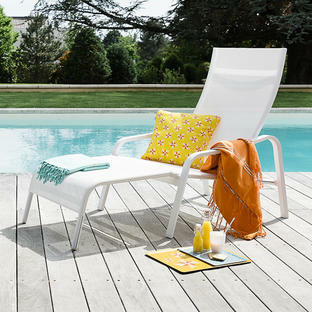 The Alize sunchair with foot rest is also available in the collection. 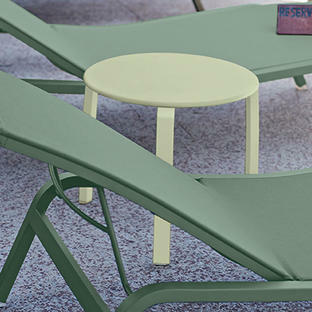 The Alize side table available in all 24 Fermob colours. 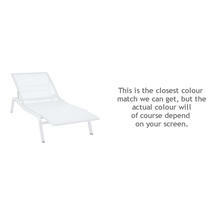 Alize Sunlounger has 3 adjustable back rests positions and 2 adjustable footrest positions. 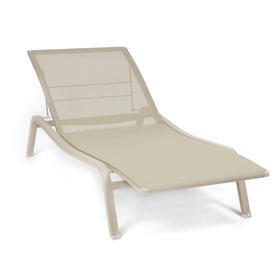 Alize XS Sunlounger has 3 fixed position back rest and the footrest is fixed. The Sunloungers can both be stacked to a maximum of 15.